OK, it’s time once again for me to implore you, our listeners, to help us take over the world, bwahahaahha!!! improve our search rankings, get better publicity for the podcast, and make me very very happy in the process. It’s very simple to do, will only take you about 5 minutes tops, and is 100% free. Remember that we actually have three podcast feeds: the main (combined video and audio) feed, as well as the audio-only and video-only feeds. If you can rate/review all three of them, fantastic! But if you can’t/don’t want to/are too lazy to rate all three feeds, then at the very least, please rate the main feed. The same applies whenever I look at the page for our app on the App Store. If you could rate and/or review the app, that would be great too, and would increase our search rankings, blah blah blah. You’ll need a free iTunes account, but you also will need to download the app (it’s free) before you can rate it. One of the factors that Google takes into account when determining search results is the number of other sites that link to you. So, if you have a blog or website, why not put a link to Otaku no Podcast somewhere on it? Either link to the main site (otakunopodcast.com), or if you have a particular episode or blog post or whatever that’s your favorite, link to that. By this, we mean subscribing to our YouTube channel (it’s free) and “liking” and/or commenting on our various videos. “Liking” our Otaku no Podcast Facebook page helps as well. OK, this one isn’t about increasing our search ranking; this one is to help me keep this show afloat financially speaking. 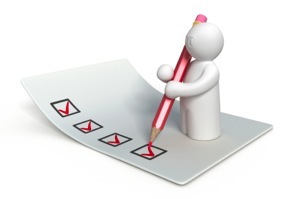 Listener surveys such as this are used by ad agencies to help determine where to place their advertising. As you are no doubt aware we have begun to receive sponsorship opportunities, and I am really working on making them as unobtrusive and interesting as possible. One way this helps is if advertisers have accurate information on the types of people who listen to this show; that way we get more relevant ads sent to us. Note that you will never be tracked or identified individually, only in aggregate (i.e. as a sample group). The survey is being handled by our content distribution service RawVoice. If you are concerned, please read their privacy statement. I think it’s pretty clear cut. If you are able to help out at all with any of this, you have my deepest and undying thanks. With your help, my evil minions fellow listeners, I shall soon be able to take over the universe!!! increase our visibility on the Internets. Reach out and touch someone: Otaku no Podcast has a new voice call-in line!